Censorship and book burning are still present in our lives. 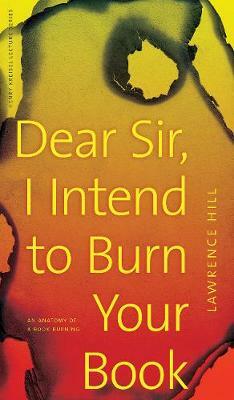 Lawrence Hill shares his experiences of how ignorance and the fear of ideas led a group in the Netherlands to burn the cover of his widely successful novel, The Book of Negroes, in 2011. Why do books continue to ignite such strong reactions in people in the age of the Internet? Is banning, censoring, or controlling book distribution ever justified? Hill illustrates his ideas with anecdotes and lists names of Canadian writers who faced censorship challenges in the twenty-first century, inviting conversation between those on opposite sides of these contentious issues. All who are interested in literature, freedom of expression, and human rights will enjoy reading Hill's provocative essay.